Debdatta Saha is an economist by training. She has completed her doctoral work in applied game theory and industrial organisation from the Indian Statistical Institute (ISI), Delhi Centre. 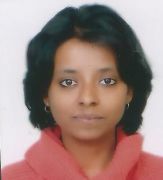 She currently teaches advanced microeconomics and industrial organisation at the Faculty of Economics, South Asian University (SAU), New Delhi. She has experience of working in some aspects of industrialisation in developing countries, including a brief stint as an expert with the Competition Commission of India. Her research interests include organisational problems of small enterprises, competition issues such as abuse of dominance by dominant firms, and coordination games. At present, she is engaged in analysing the food processing industry in Bihar through an international project funded by the International Growth Centre (IGC), jointly with Dr. Barna Ganguli.